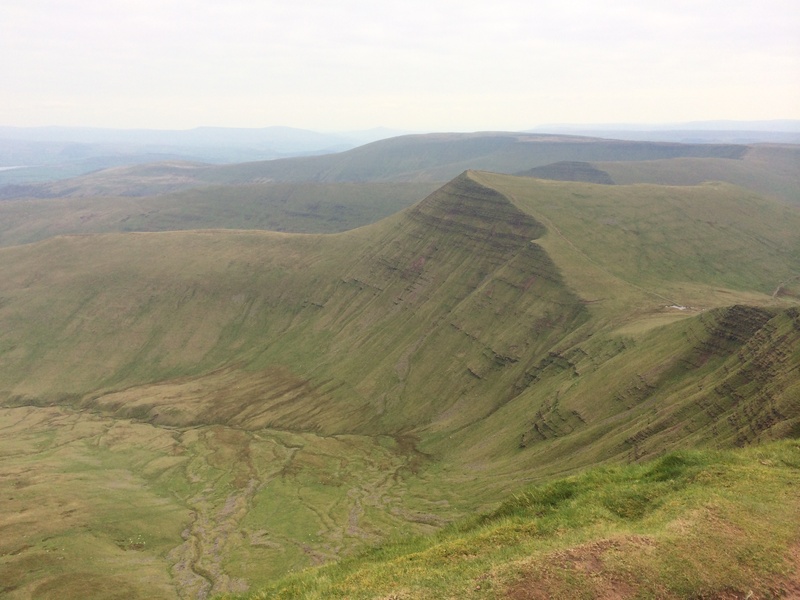 Brecon Four Peaks – done. So I did it, as suggested in my previous post. The Brecon Four Peaks is ticked off the list, good and proper. It nearly, I have to say, didn’t happen at all, due to nearly not being able to find the starting place. 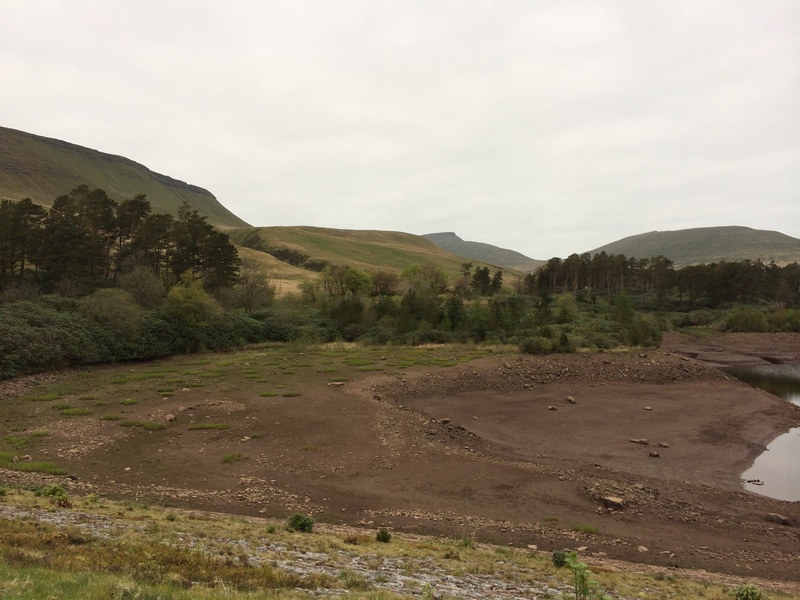 Having looked at the map the night before, I knew that I had to head through a place called Pant, just north of Merthry Tydfil, and then head north towards the Neuadd reservoir. However, if I hadn’t have known the name of the reservoir, I’d be lost altogether still. Pant is pants! You would think, that with a place like the Brecon Beacons, that there’d be signposts somewhere wouldn’t you? Well, there aren’t – none at all in fact. I drove around all manner of housing estates in Pant and Merthyr Tydfil (not a pretty place I have to say, sorry :o) and just guessed in the end as to which road might head north. After miles of twisty single track roads with virtually no passing places, I eventually found a sign at the side of the road saying “Neuadd”, and something else in Welsh, and so I pulled in. Thankfully there were a few other cars in there with people donning walking boots, otherwise I would have just thought I was lost in the woods. 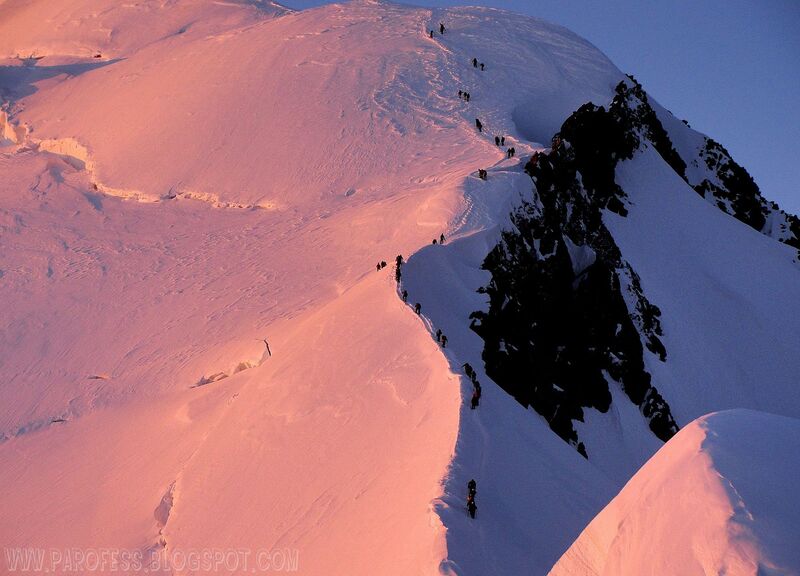 Maybe the people of Wales just don’t want people/tourists to find their nice mountain paths? It doesn’t make sense to me at all I’m afraid, so if anyone has any insight into this, I’d love to hear from you. Anyway, after setting out with fullish daypack (my fairly recently acquired Osprey Talon 33 – which I am really pleased with) and equipped with food and drink aplenty, I followed the good folk of Wales (or wherever they had come from) up towards the hills in the distance. Seeing what I took to be Pen Y Fan in the distance (it wasn’t, but I wasn’t far off, it was Corn Ddu, it’s neighbour), I set off up to the nearest ridge line, a fairly good pull but not too long. It took me up to about 2,000 feet, from where I could walk towards the approaching hills and see all before me. Near to the start of the walk near the Neuadd reservoir, the Brecons in the distance. The day was a very dull one as far as weather was concerned, and around five or six degrees C at the start I’d say. I started with a heavy fleece on in fact, unusual for me, but I soon got warmed up when walking, as I always do. 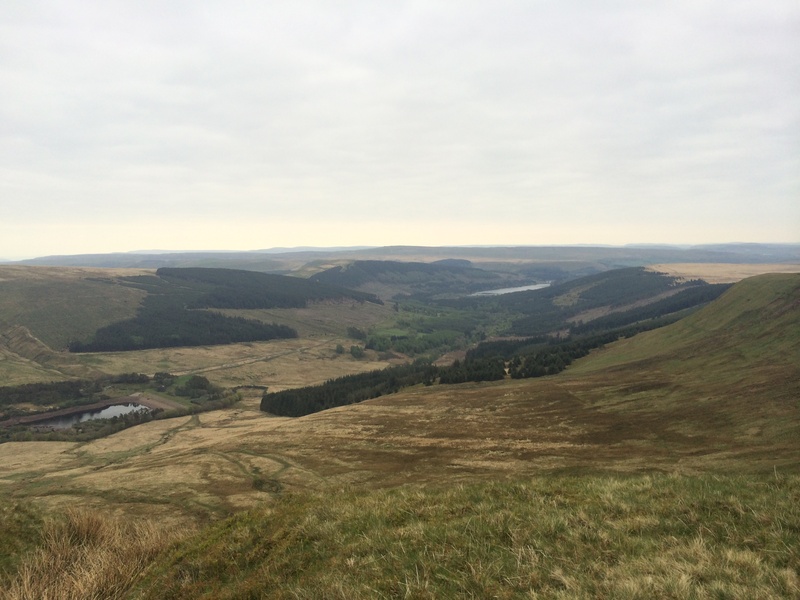 Looking back down towards the Neuadd Reservoir…. 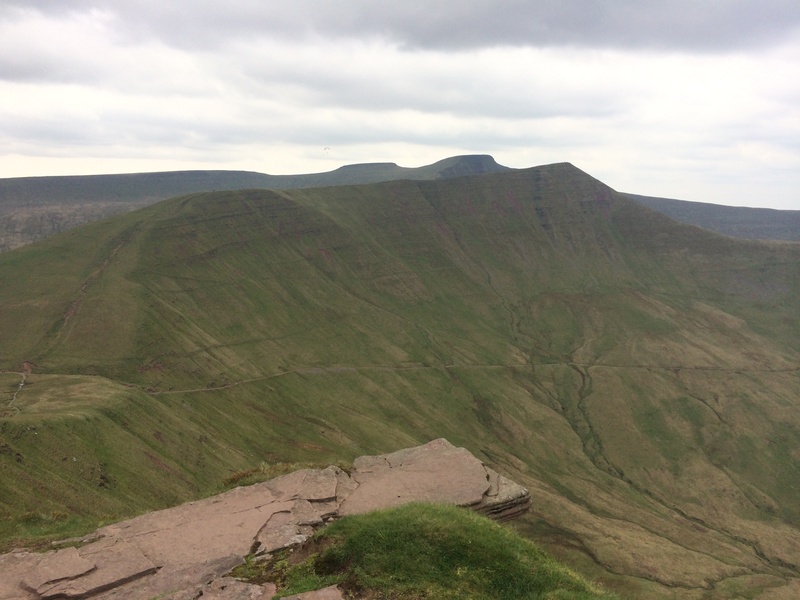 And then towards the peaks – Corn Ddu on the left, Pen Y Fan in the middle, and Cribyn on the right. From the ridge the walk was all very straightforward. 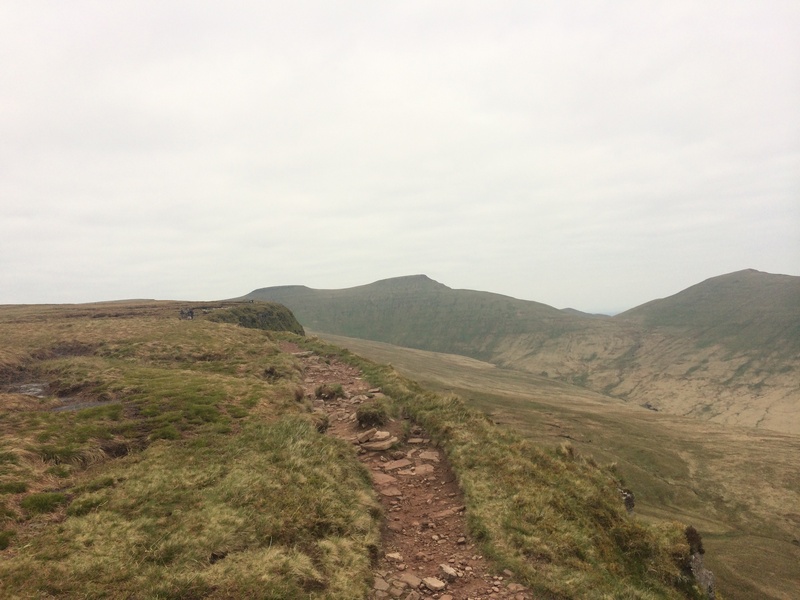 The path eventually led right to Corn Ddu and Pen Y Fan, separated by a very short and well trodden path, and both summits were a simple short climb to rocky flat tops. A closer view of Corn Ddu and Pen Y Fan (right). 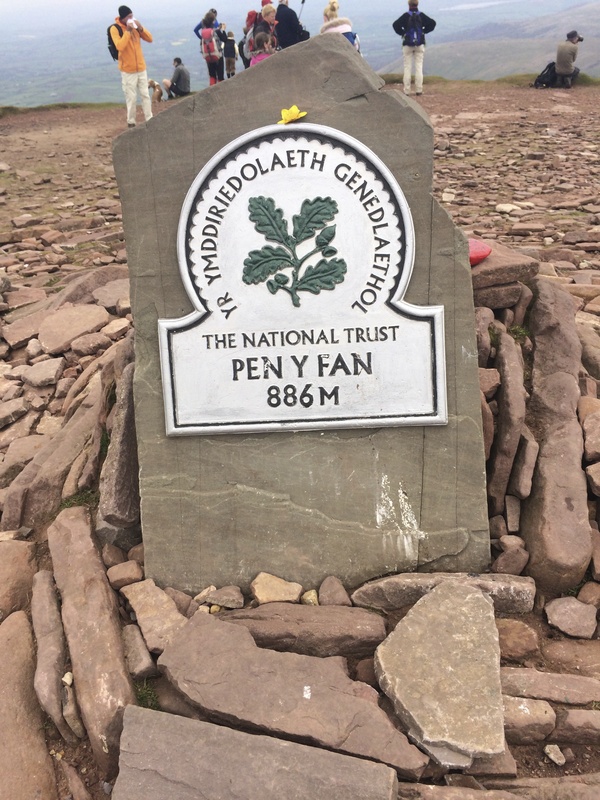 On the top of Pen Y Fan, the highest point in South Wales. The view from Pen Y Fan towards Cribyn (foreground) and Fan Y Big (just over and beyond from Cribyn). The two summits both duly done in short order, I thought I would get some ascent and descent in by heading down to the ‘motorway’ path. 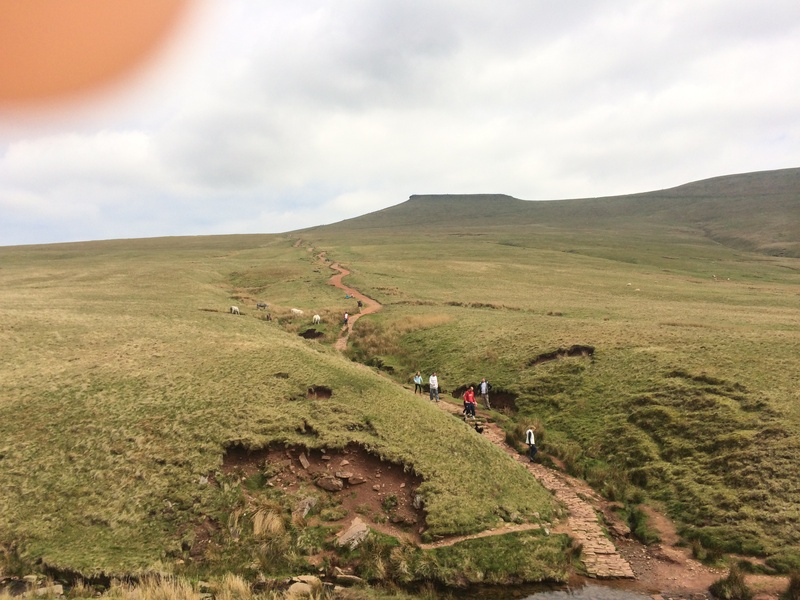 This is the path down from Pen Y Fan to the Story Arms Outdoor Centre, the path most frequently used up the mountain. This took about 45 minutes down and precisely 56 minutes back up again. The path back up Pen Y Fan from the Storey Arms centre. From Pen Y Fan I went down and up to both Cribyn, and Fan Y Big. 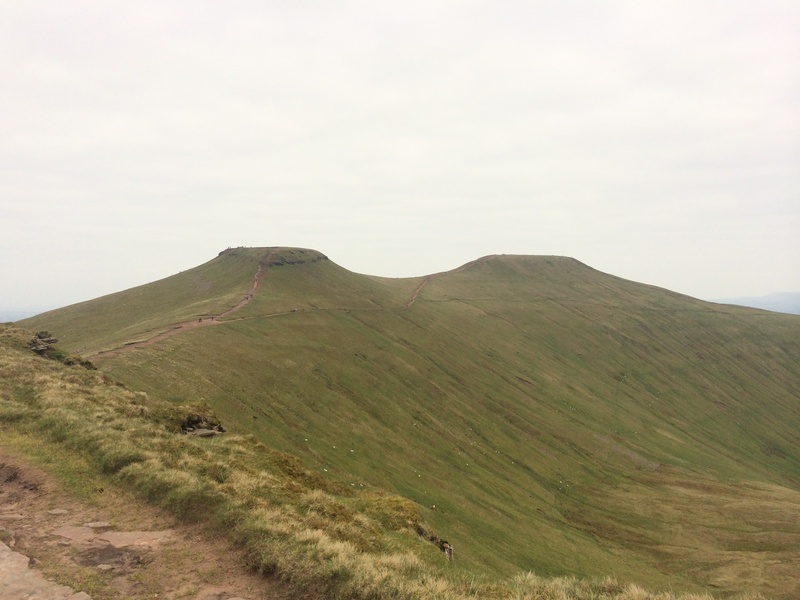 Whilst neither are as high as Pen Y Fan, both have steep ascents, if not overly long, but both make you pause to ‘admire the view’ whilst you are on your way up! Pen Y Fan and Corn Ddu as seen from the top of Cribyn. 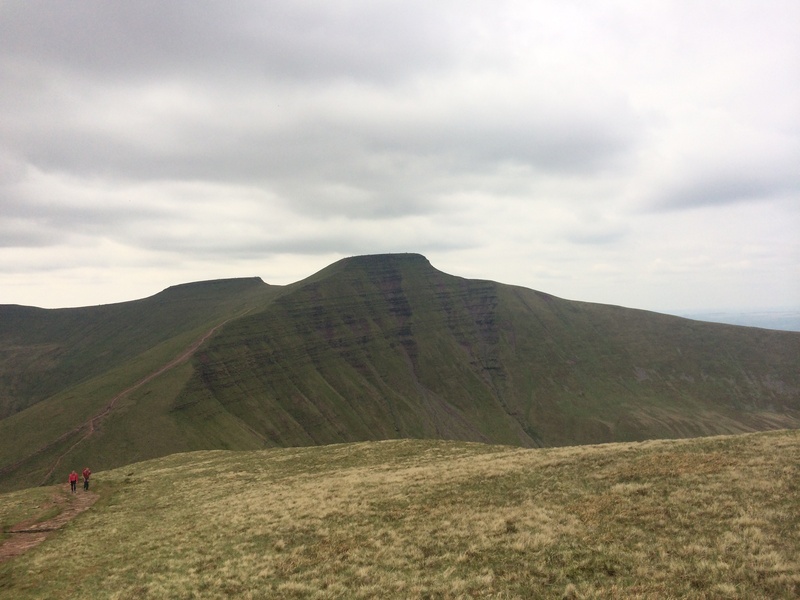 And finally Cribyn, Pen Y Fan, and Corn Ddu, as seen from the top of Fan Y Big. With my limbs and faculties all happily in one piece, I then headed back down the other side of the valley back towards the reservoir and my car. And so finally, this weekend, I’m off to Wales again! 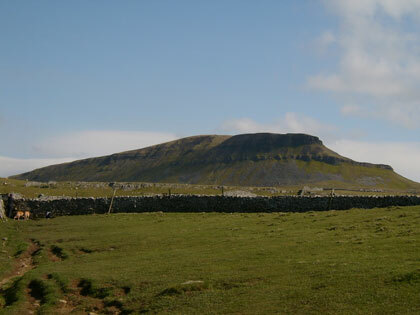 This time it is for the Welsh Three Peaks Challenge. 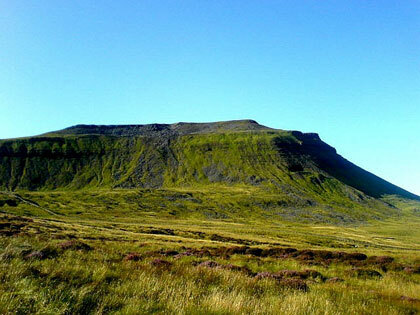 We will do Pen Y Fan early on the Saturday (like 4.30am early), and then drive to mid Wales to do Cadair Idris (which is about a six hour romp). We will then drive to Snowdon, Wales’ highest mountain, which we will do at about 7am the next morning. 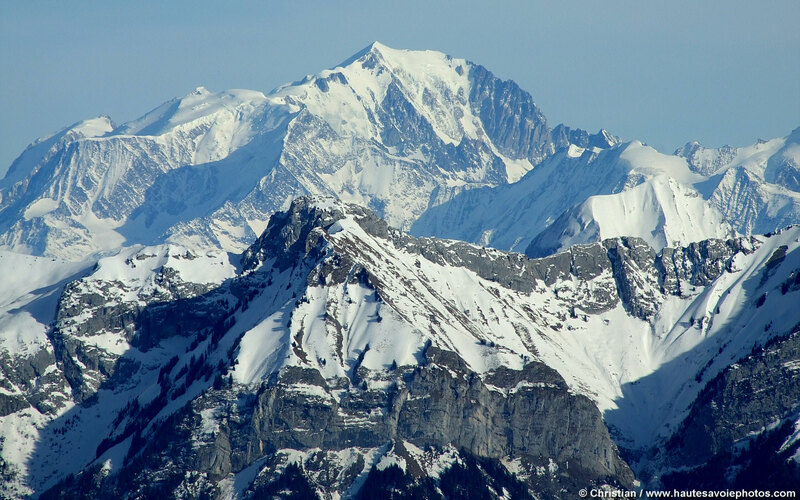 Altogether it is just shy of 3,000m of ascent (9,900 feet) and about 21 miles. I’m taking 12 work colleagues with me in a minibus, so it should be a great adventure, and hopefully a lot of fun. We are also raising money for a cause close to my heart (Prostate Cancer), and so if you are able to, please sponsor us at the link below. Many thanks! The year so far for me didn’t get off to a good start. In fact it was awful. In January, four days before my 50th birthday, my Dad passed away. He had been ill, as I think I’d said in a previous post, for some 6 months or so, with cancer. He (only at the end, at least) was in pain, and so I should to some extent be grateful that he is now in a better place, or something like that. But that doesn’t help at all really. Fact is that I’ve watched both of my parents die of cancer now, and it took them both from (far far better) places of apparently otherwise fitness and good health, to being dead in a matter of months both times. I therefore hate cancer, and in this case, hate is by no means a strong enough word. I shall dwell no more on this, and put it away now :(. I haven’t had the appetite for cycling much so far this year, and let’s face it, the weather has been woeful. I think we’ve had three weekends where winds topped 50mph, and also the wettest start to the year since records began. For this admittedly fair weather rider, and coupled with all else that has been going on, that was too much of an excuse for the bike to stay locked in the garage. Oh and I did also suffer a broken toe, but I shan’t dwell on that one either – it’s healing now! I have been out in fact, only on four occasions altogether. Once on a brief ride in January, twice (although only about 35 miles each) on a short trip to Northern California, where the riding was fabulous, and then last weekend, when I did my first sportive of the year. The sportive was the aptly named “No Excuses” around Huntingdon, so called because as long as you turn up, they refund your £35 entry fee, and if you don’t, they give the money to a worthy charity, in this case prostate cancer. They apparently raised £22,000 for the charity, which means a whopping 630 people didn’t show up having entered. The stats are copied below in case anyone wants to take a look, but suffice to say I was absolutely knackered by about two thirds of the way through. Over 80 miles had me cramping and not really having fun, but I was very glad to be out there, cold as it was. I have cycled only 200 miles this year though, and it is scarily almost a quarter of the way through. I must get out more now…. The weekend that is now just ending (9th March as I write) has seen me decide to get my walking legs back, having done basically none of that either. I did join a gym a few weeks ago, but the attractiveness of a stair climbing machine has and probably always will be lost on me I’m afraid. So blessed with some rather fine sunshine at last, I went and put some good old miles in, with a smallish (10lb or so) pack on my back for good measure. 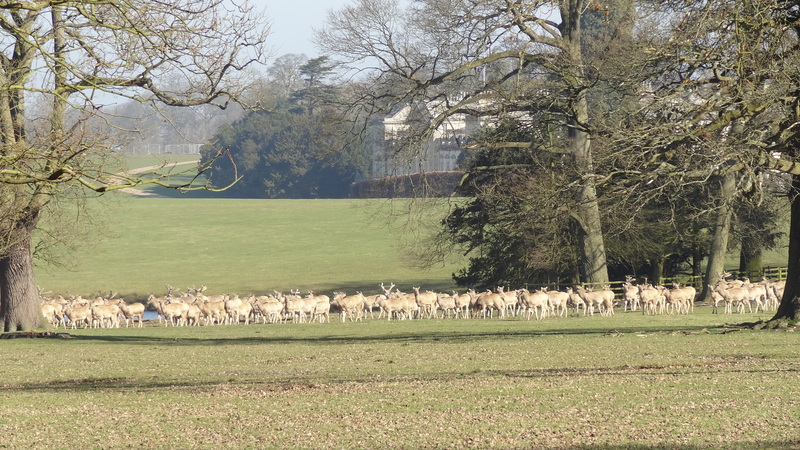 Yesterday (Saturday) I got in about 12 pretty flat miles around Milton Keynes, and today I headed out to Woburn, just about 6 or 7 miles away. So with me planning to be back to full fitness as soon as I can, I am now starting to look forward with relish to the rest of the year. 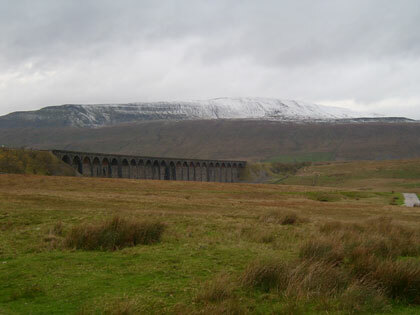 I have planned the Welsh Three Peaks in May http://www.thethreepeakschallenge.co.uk/welsh-three-peaks-challenge/, am trying to get a full Three Peaks http://en.wikipedia.org/wiki/National_Three_Peaks_Challenge trip in June , and am also looking to try to get a Mont Blanch trip in in July, prior to Elbrus in August. 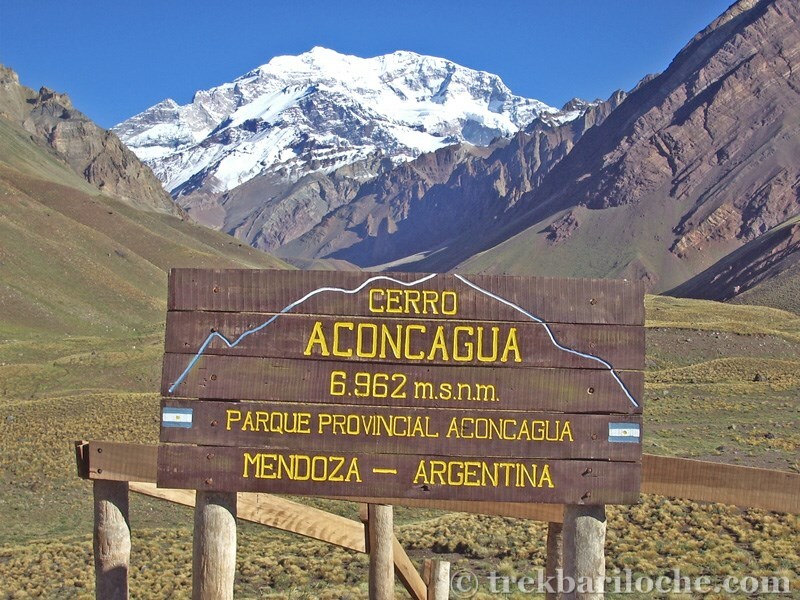 I have also contacted International Mountain Guides to see if they can’t get me that Aconcagua trip back on for the end of the year. 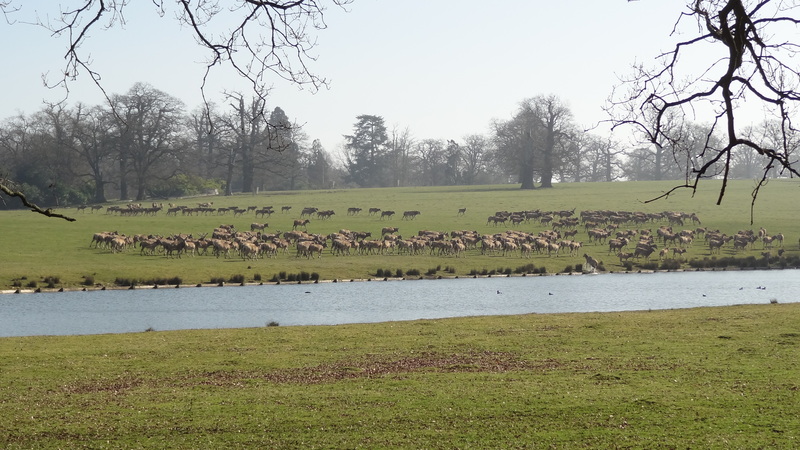 Third time lucky, all being well……….